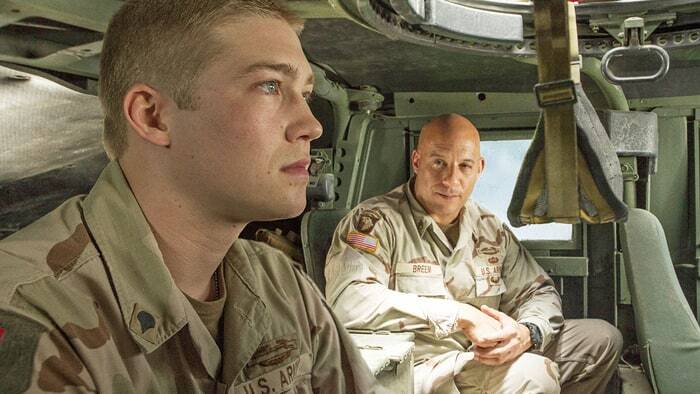 Plot – On a break from his service in the Iraqi war, American soldier turned nationwide hero Billy Lynn (Alwyn) and his fellow service man are invited to perform at the half time show of a big football game only for the day to bring back memories for Billy that he’d rather forget. For a film made by one of the modern era’s greatest story-tellers, Billy Lynn’s Long Half Time Walk is an incredibly disappointing film. That for all its so called technical wizardry (the film was shot at the highest ever feature film frame rate) the film seemed to have forgotten how to tell its rather simple, yet over-stuffed story that’s filled with some of last year’s most cringe-worthy snippets of dialogue. It’s really hard to fathom just what director Ang Lee was thinking here. Coming away from one of his biggest successes in the form of the artistically stunning Life of Pi and previous hits such as Brokeback Mountain and Crouching Tiger, Hidden Dragon, you’d expect a lot more from Ang Lee, and in adapting Ben Fountain’s well-received book of the same name, it seemed as though Billy Lynn really could’ve been one of those big commercial drama hits that also plays extremely well to the awards crowd. The finished product is anything but however, as this emotion free affair, that sometimes does look awfully pretty (in an odd artificial-like way) fails to make us care one little bit about newcomer Joe Alwyn’s Billy Lynn and his crew of fellow American soldiers and as the title suggests this really does become a loooong walk (more for us than anyone else) as Lee’s film goes from barely interesting scene to less interesting scene as we partake in a series of meet and greets and war flashbacks that never feel like they’re threatening to become anything more than sporadically engaging. You get where Lee and his team were trying to go, a darkly funny and sometimes downright sad look at the way in which war shapes people’s lives but when the film we get is filled with such average dialogue, cookie cutter characters including Steve Martin’s do-gooder football team owner Norm and Chris Tucker’s loud-mouthed agent Albert and one of the dumbest romantic side plots we’ve seen in sometime, there’s really no wonder as to why this film was a huge bomb upon initial release. A good example showing off that wiz-bang new technology or so-called technological advancements don’t make a good movie, Billy Lynn is an unengaging experience that fails to capture our hearts or imaginations and while there are the odd sprinklings of decent moments within this forgettable walk, you expect a lot more from the likes of Ang Lee. I just couldn’t believe how overly boring it was. I was not engaged in the slightest. It’s an interesting mess. But a mess nonetheless. Nice review Eddie. A pretty mess and a heartless one. Oh man I just don’t know because the actual story is so tame. It’s a shame as it’s a pretty neat cast and Lee is such a great director but this one just has no heart or soul. That is too bad. I won’t bother then. I watched the trailer and it looks good. Plus, Kristen Stewart! She’ not in it very much at all mate, maybe 5 – 10 minutes of screen time overall. A very disappointing film from a talented cast and crew. 10 minutes total?? What a disappointment indeed. Skipping it for sure. Good review. I did read the book, so I was able to appreciate the movie a bit better. However, the narrative structure is a bit wonky. My biggest complaint about this movie is that didn’t use the actual Dallas Cowboys logos and jersey (probably didn’t get the NFL to license the film) and even the part with Destiny Child was a bit weird because they didn’t show their faces. In addition, for a movie that was being toted as the next leap in cinematic filmmaking, it was really a mediocre endeavor. Agreed on all points Jason. It just lacked a heart and soul as well which made emotional investment minimal.